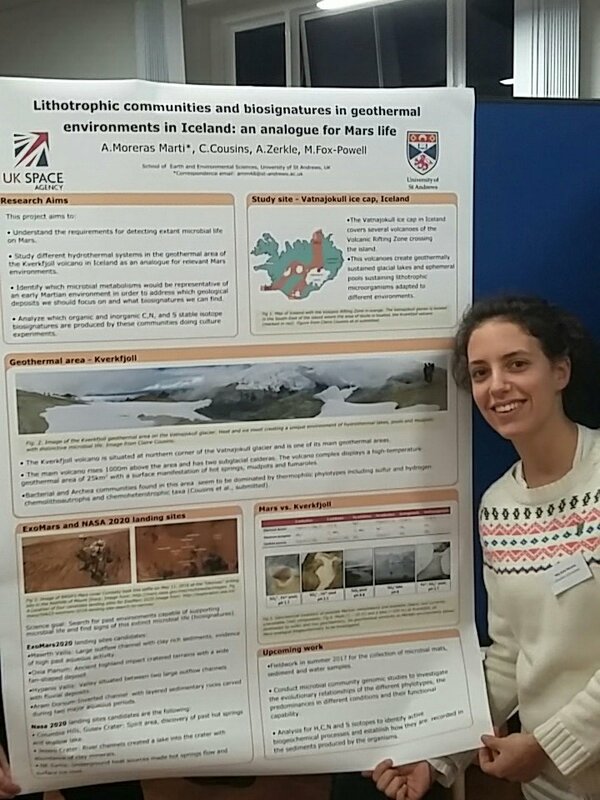 Arola Moreras Marti from the School of Earth and Environmental Sciences, University of St Andrews was awarded the best student poster prize at the first SPERO meeting. Arola is a first year PhD candidate and is supervised by Dr Claire Cousins and Dr Aubrey Zerkle. 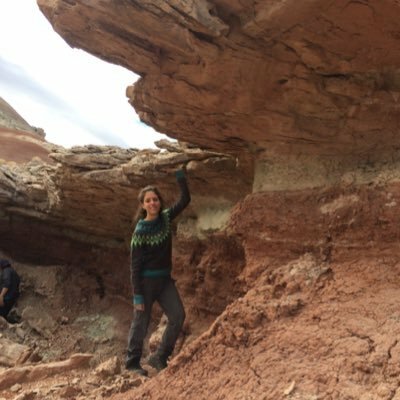 Her research focuses on chemolithoautotrophs on Mars (project details below), understanding metabolic pathways and biosignatures. The metabolic capability of Mars is inherently dependent on the geochemical inventory of its crustal environment. As the list of available redox couples becomes populated through ongoing Mars exploration, it has become apparent that a Martian biosphere would be driven by lithoautotrophic metabolisms. This project investigates microbial communities driven by these metabolisms in Mars-analogue niches at ice-fed hydrothermal fields in Iceland, and the stable isotope biosignatures recorded within the resulting sedimentary deposits.